Rhode Island sponsors one direct-sold and one advisor-sold 529 College Savings Plans. Both allow you to start investing in your child’s future education with no minimum deposit, and you can contribute up to $395,000 — a relatively high amount compared to the maximums for plans that other states sponsor. The direct-sold plan’s investment menu doesn’t offer the most stand-out investment options, but it charges very low fees across the board, with Rhode Islanders getting even smaller fees. Overall, both plans offer investment options designed for all types of savers. But if you’re looking for expert help, you can find a financial advisor in your area to open the advisor-sold program, which offers a different investment menu and the guidance of a qualified professional. As college tuition alone is expected to continue climbing well into the next decade, parents are struggling to find better ways to send their kids off to college without accruing a mountain of debt. To help you in the process, the state of Rhode Island sponsors the CollegeBound Savers program, a 529 college savings plan that allows you to start investing in your child’s educational future as early as possible with as much as you want. The plan offers several low-fee investment portfolios including ones that automatically change their asset allocation to become less risky as your child gets closer to college. Rhode Island residents pay even smaller fees than out-of-state account holders, and Ocean State families can deduct up to $10,000 from their state taxable income per account each year. How Do I Enroll in Rhode Island's Direct-Sold 529 Plan? 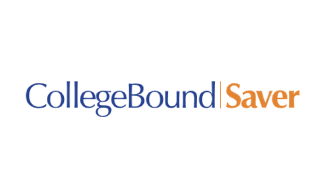 The easiest way to enroll in the CollegeBound Saver program is online. The process should take about 15 minutes. Or, you can download an Enrollment Form and mail it in. You’ll need the following for yourself and your beneficiary: your address, birthdates, Social Security numbers of Tax Identification Numbers and your bank account and routing numbers if you’re making your initial contribution electronically. How Much Does Rhode Island’s Direct CollegeBound Saver Program Cost? Each investment portfolio in Rhode Island’s direct 529 plan charges an annual asset-based fee that currently ranges from 0.04% to 0.60% for Rhode Island resident account holders and from 0.29% to 0.85% for out-of-state account holders. One of the reasons non-state residents have larger fees is because the total annual asset-based fee includes a program management fee, which is waived for Rhode Island residents. The total annual asset-based fee is factored out of assets in the investment portfolio. A $10,000 initial contribution is invested. You get a 5% annually compounded rate of return for 10 years. You withdraw all funds from the account after 10 years for qualified expenses. The total annual asset-based fee remains the same. Keep in mind that fees as well as portfolio options in the plan are subject to change, so it’s very important to check your investments periodically. You can find a financial advisor to guide you through the college savings process and create an investment roadmap that’s right for you. Ocean State residents who open accounts with the Collegebound Saver Program can deduct up to $5,000 from their state taxable income or $10,000 if married filing jointly. However, any legal-aged U.S. citizen or legal alien with a valid Social Security number or Tax Identification Number can open an account. All account holders who invest in the plan can enjoy tax-free earnings on their contributions. This means your money can grow in the market tax-free, and you can take full advantage of compound interest. The money you take out of the plan won’t be taxed either as long as you use it to fund qualified higher education expenses such as tuition at eligible institutions. You can use 529 plan money at virtually any accredited institution from vocational schools to four-year universities that accept financial aid from the U.S. Department of Education. Some foreign schools are eligible as well. 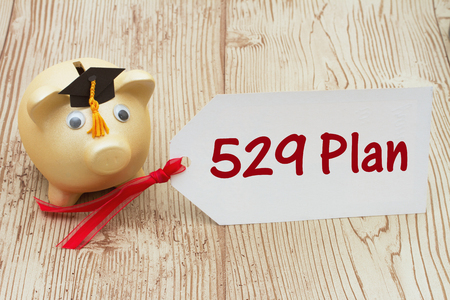 But despite all the tax benefits that 529 college savings plans offer, you can run into a few pitfalls if you don’t use 529 plans as they were intended. When you take money out for anything other than a qualified college expense, you’ve made a nonqualified withdrawal. It may be subject to federal income tax and a 10% penalty. You may also have to pay back some or all previously claimed state tax deductions. Speak to a financial advisor or tax professional about how a nonqualified withdrawal may affect you based on your personal circumstances. The CollegeBound Saver Program that Rhode Island sponsors offers several portfolio options designed for savers with various risk levels and investment knowledge. If you’re new to investing, you may be interested in an age-based portfolio. These options automatically change their asset allocations over time to become less risky as your child gets closer to college age. When your child is young, it invests primarily in stock funds with an aim at strong growth by taking on more risk. It then switches gears to invest in safer options like bond funds when your child gets closer to the college years in order to protect what you’ve earned and aim for a steady return. You can also invest in Target Risk portfolios. The asset allocation for each of these portfolios is meant to stay constant and is based on a specific risk level. If you’re not sure what type of investment mix matches your risk tolerance, you can use our asset allocation tool to figure out how you may build different portfolios based on a specific risk level. You can use this information to explore the plan’s individual portfolios. Each invests in a single underlying fund. You can choose one or more of these options, and each invests in a different asset class like stocks and bonds. How Do I Withdraw Money from the CollegeSaver Direct 529 Plan? You can request a withdrawal online by visiting your account or by downloading a distribution request form and mailing it in. You can make the payment electronically or via check to yourself or your beneficiary. You can also send it directly to the school. How Can I save More with Rhode Island’s Direct 529 Plan? There are plenty of ways to save money on college expenses by participating in Rhode Island’s CollegeBound Saver Program. The plan makes requesting monetary donations to your child’s 529 plan as easy as making a few clicks. By signing up for the Ugift program, you can get a unique gift code that you can share with friends and family via social media or email. One way to maximize savings is to share this code when a special occasion such as a birthday comes up, and you can request donations to the 529 college savings plan in lieu of physical gifts. You can even download and print a physical card with the code to hand out to friends and family. There are no fees involved with using Ugift for you and the gift giver, and the entire amount donated will be deposited into the designated 529 plan account. You can also sign up for Upromise, a program that lets you transfer cash-back rewards directly to your 529 plan account. You can get cash back by using your Upromise Mastercard for eligible purchases at participating locations such as restaurants, grocery stores and even airliners. These are some of the ways you can maximize your gains when constructing a personal college savings plan. If you’re not too comfortable with plunging into the world of 529 college savings plans on your own, the advisor-sold version of the CollegeBound program may be right for you. Through a local financial advisor, you can open an account. Your advisor can lead you through the enrollment process and help you select a portfolio and share class option that meets your unique financial situation and savings goals. But because you’d be receiving professional assistance, this plan may come with additional fees including ones you won’t find in the direct option. Be sure to examine your advisor’s compensation model thoroughly and discuss how fees may impact your long-term savings. How Do I Enroll in Rhode Island’s Advisor-Sold 529 Plan? You can find a local financial advisor to open an account. However, you should be ready to ask your advisor questions especially about his or her qualifications and credentials. You should also examine advisors’ compensation structures. Fees from one advisor to another can have a significantly different impact on your savings in the long run. How Much Does Rhode Island’s 529 Advisor-Sold Plan Cost? The price of investing in the CollegeBound advisor-sold program ultimately depends on the portfolio you choose as well as the share class (units) you choose. But because you’d be getting the professional guidance of a qualified professional, advisor-sold plans may charge fees not usually found when investing in a direct-sold option. These include fees paid to advisors and other intermediaries for managing the plan. An example is a sales charge. Initial sales charges are taken out of each contribution. Contingent deferred sales charges (CDSC) are usually triggered when you take a withdrawal or distribution within a certain amount of time after making a contribution. Sales charges vary depending on your share class. They can be reduced or waived in certain circumstances. In addition, the plan also charges a total annual asset-based fee, which varies depending on your portfolio option and corresponding share class. Whether you’re a Rhode Island resident or out-of-state resident also determines if you’d face certain fees. But keep in mind that you can also invest in out-of-state 529 college savings plans if you find one more appealing than those sponsored by your state. In addition, you should have a thorough discussion with your financial advisor about which portfolio option and share class is right for you, as well as all fees involved. The CollegeBound program offers the same tax benefits as the direct-sold option. This means you can enjoy tax-exempt growth on your earnings, and your withdrawals will also be tax-free as long as you use them on qualified higher education expenses. However, you’d also face the same consequences for taking money out of the plan for nonqualified expenses. You should discuss the pros and cons of making a nonqualified withdrawal carefully with your financial advisor. In some instances, the 10% penalty can be waived. In addition, you should talk to your advisor about additional 529 plan tax benefits that may appeal to you. For example, affluent individuals may be interested in their exclusive estate-tax benefits. These college savings plans also open the door for several opportunities to give money to students while avoiding gift tax. Your advisor can help you construct a unique investment roadmap based on your individual financial situation and goals. You can build a custom investment strategy by investing in one or more individual portfolios. The plan offers 11 individual portfolio options. Each invests in a specific asset class which includes equity (stocks), fixed-income (bond) and capital preservation. You can also choose from three target portfolios with set asset allocations based on different risk levels, from conservative to aggressive. In addition, you can invest in age-based portfolios in this plan as well. How Do I Withdraw Money from the CollegeBound 529 Program? You can request a withdrawal by logging on to your account or by mailing in a distribution request form. You can also contact your financial advisor about how to go about making withdrawals when you need your money. If you’re not sure how to find a professional, you can use our free SmartAdvisor tool, which matches you with local advisors based on your preferences. Many specialize in helping families save for college. You can also compare their qualifications, certifications and other credentials. You do not have to live in Rhode Island to invest in its 529 plan. Take a look at these other states' 529 plans.